Oooh very excited, its time for a GinaK guest designer to be chosen for August, the challenge is to use a favorite StampTV technique/s along with their stamps. The standard of entries is very high this month but it is such fun to play along that I could not resist, also the Botanicals set arrived in the mail on Friday so its a lovely excuse to play. 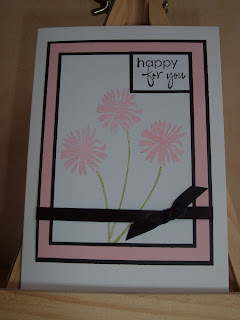 The difficulty is finding a favorite technique, I think I will be doing a number of cards for this. First up is this one using the Kissing technique. It is not so easy to see but I had kissed the stamps with the script in the botanicals set. Very pretty! Love the color combination. 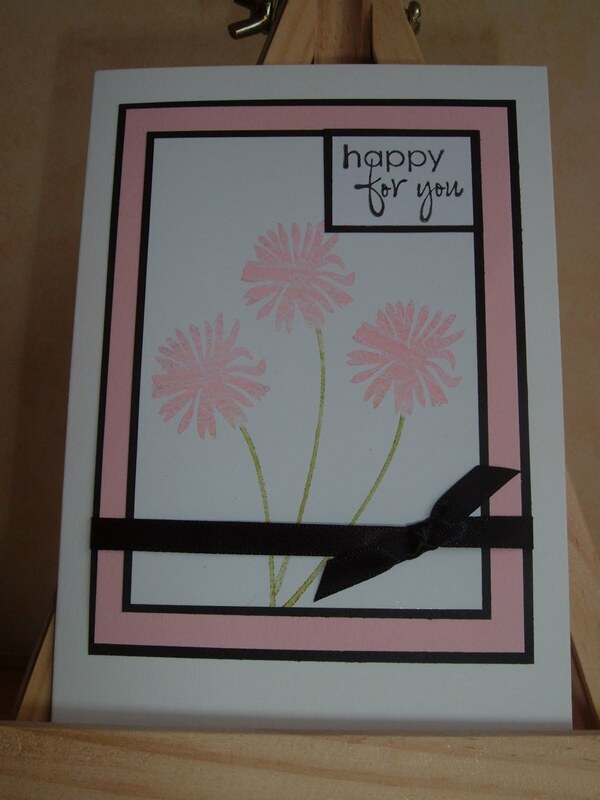 Beautiful card...love how the black just makes it pop!